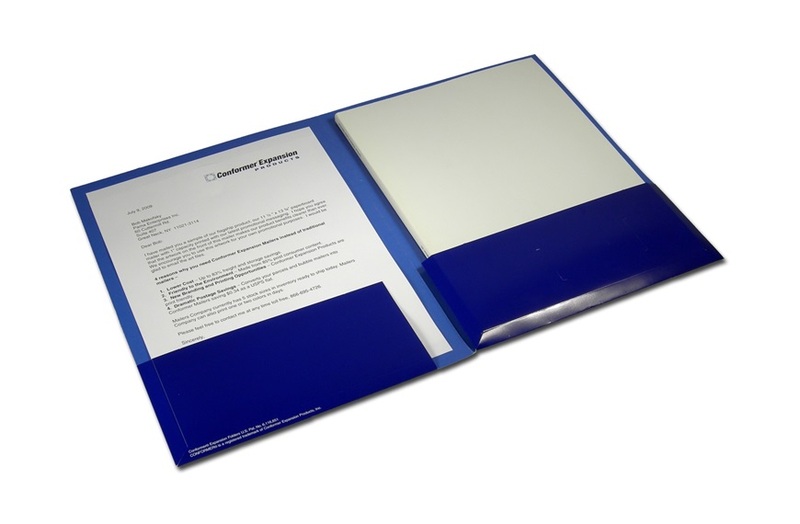 Your ideas deserve a good presentation! 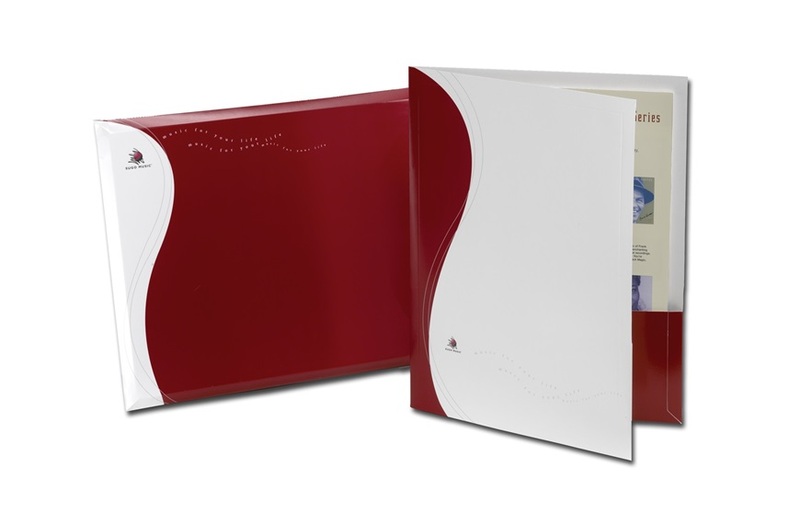 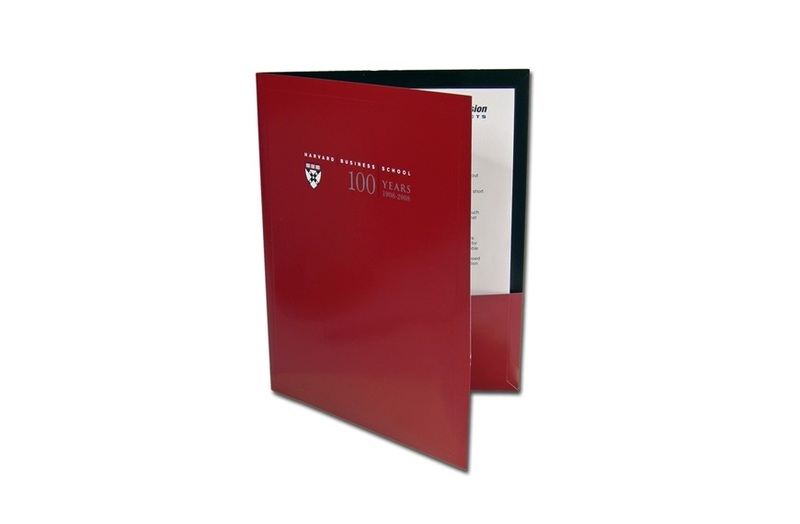 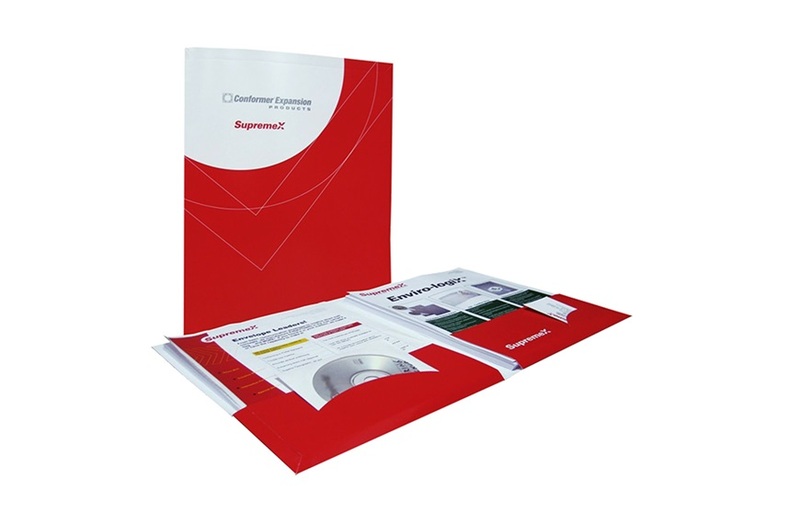 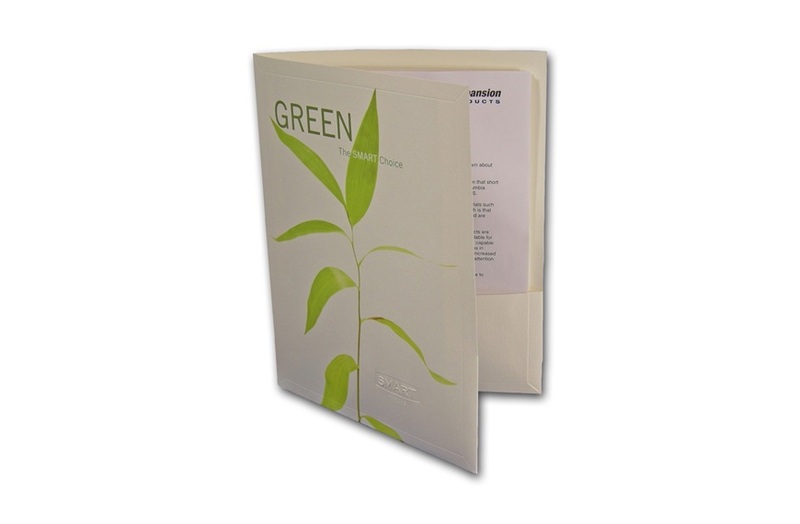 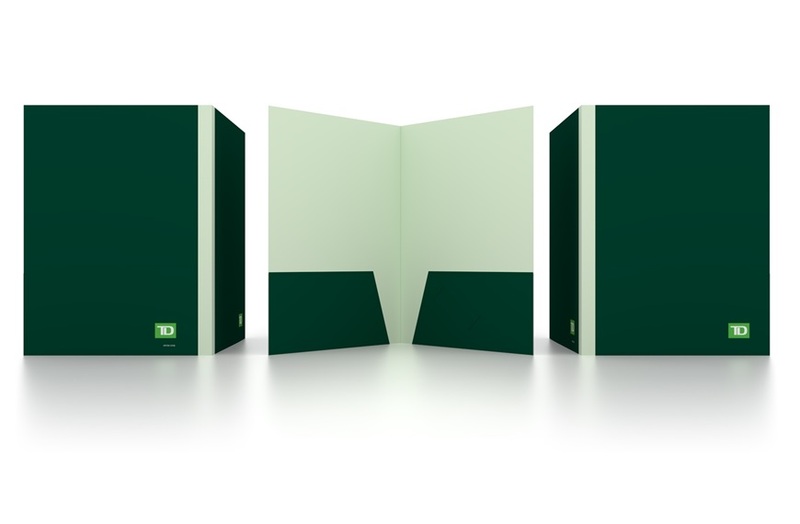 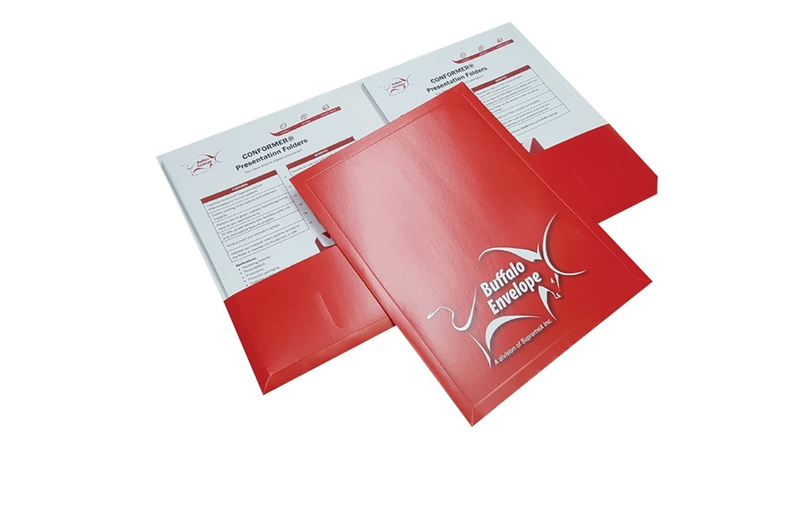 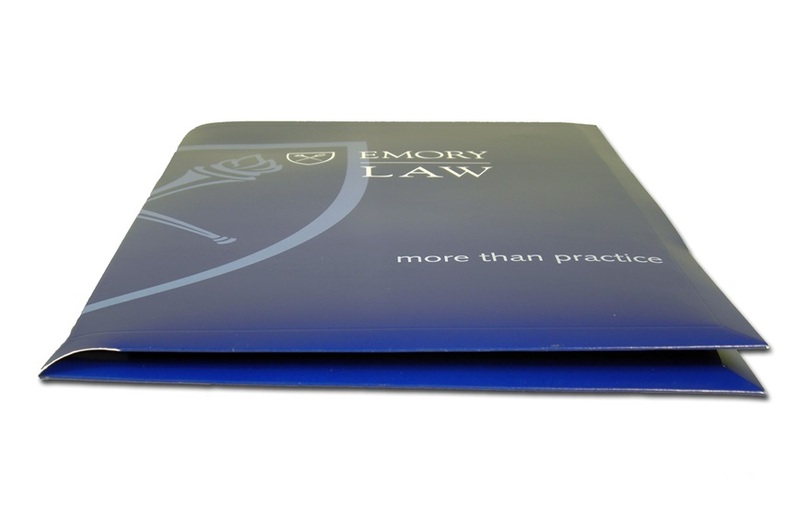 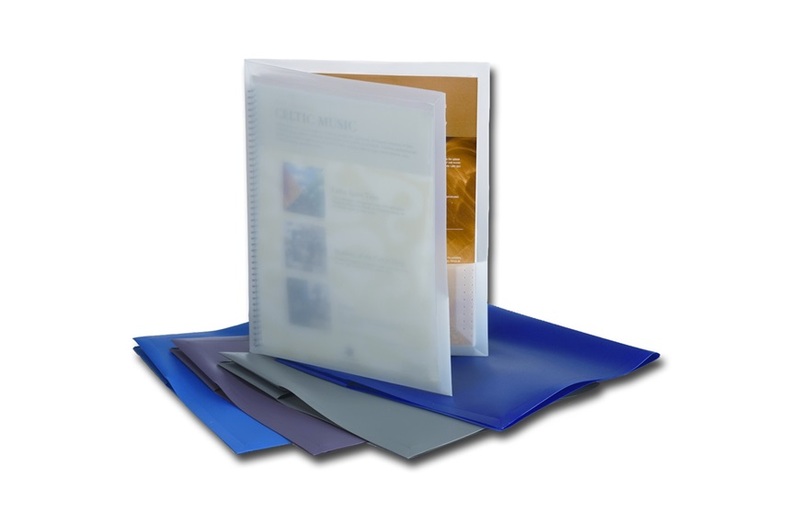 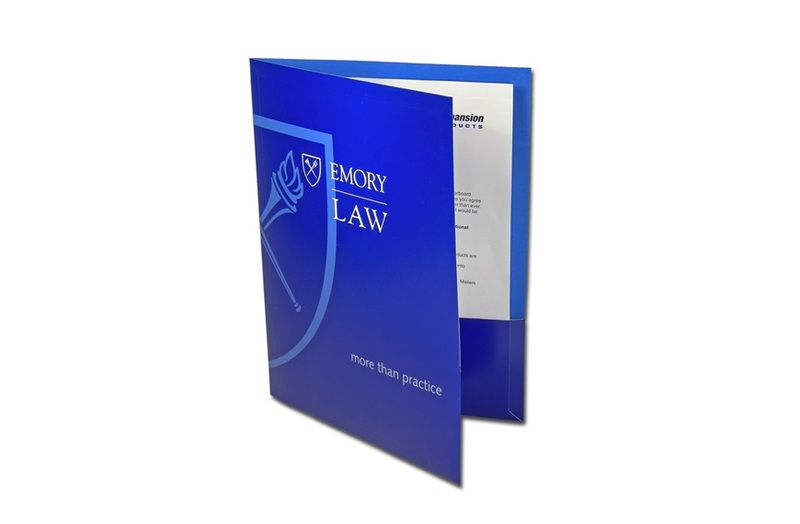 Patented Conformer® Expansion pocket folders expand to hold over 100 sheets of paper (up to 3/8") in each pocket. 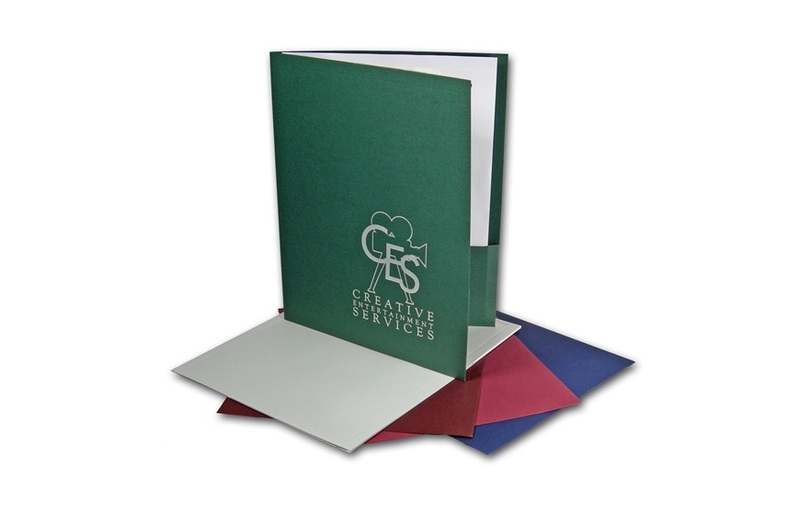 Custom printing, sizes, capacity and substrates available. 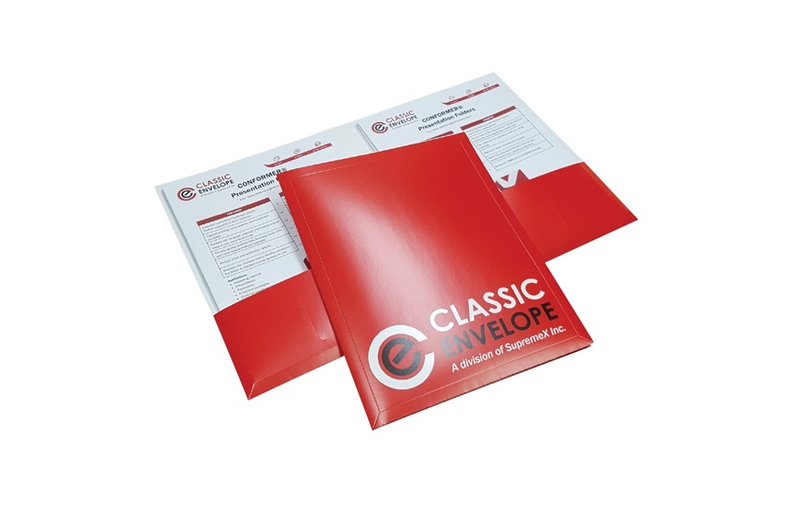 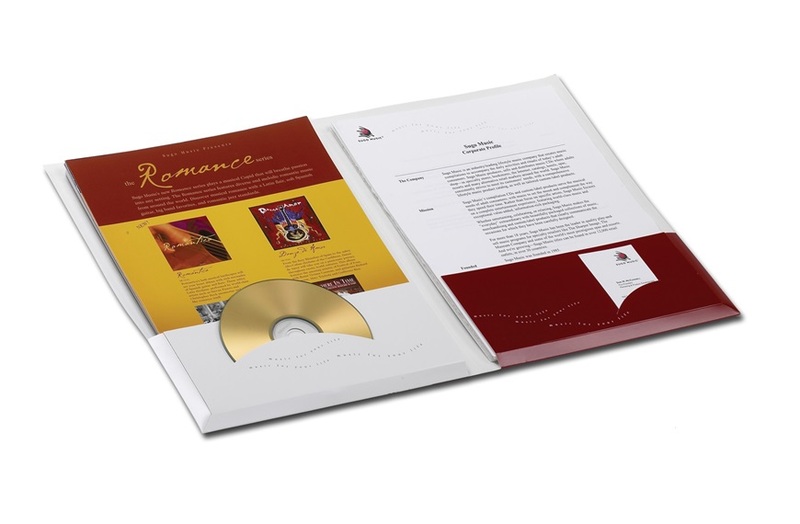 CD slips, gusset pocket slips, business card slits and other special features available. 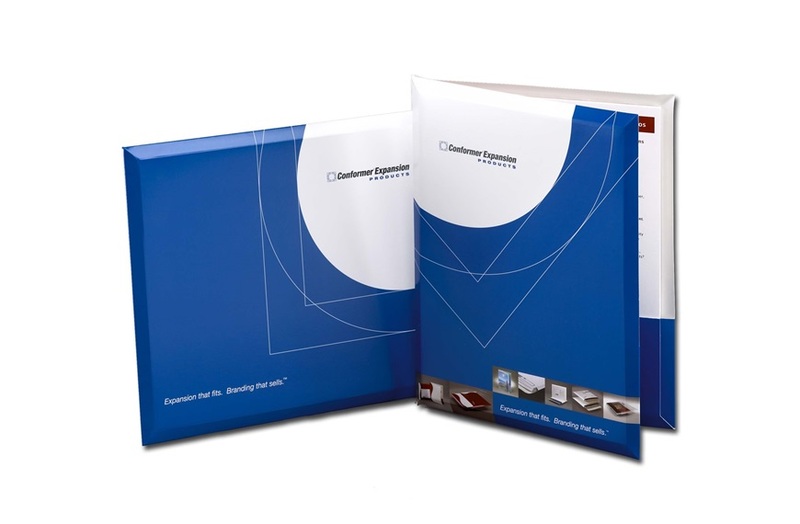 Envision your design and we can make it happen! 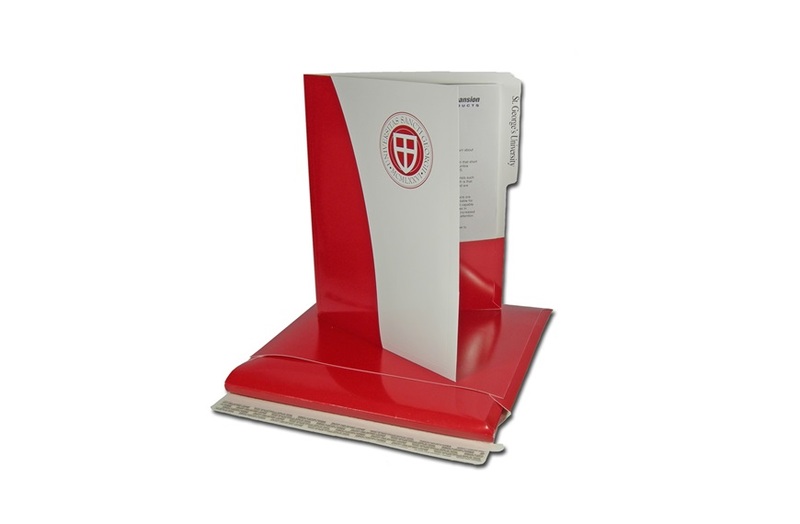 Folders are versatile and valuable. 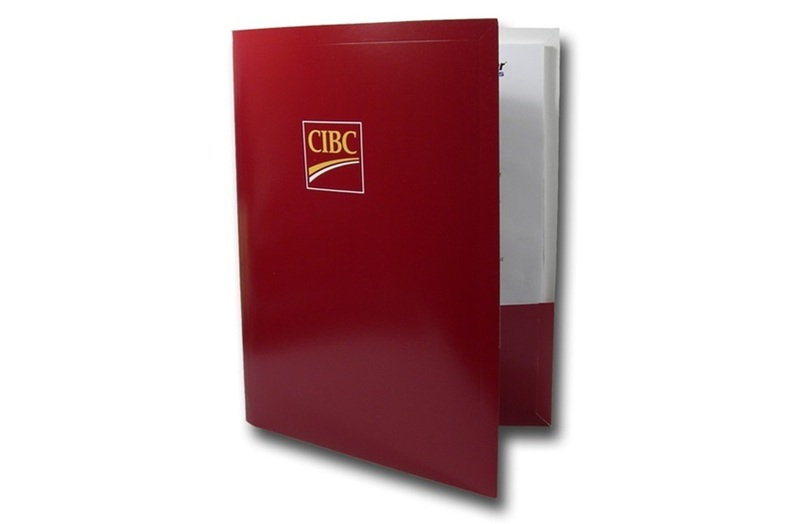 The stock and finishing can match your corporate branding, thus reinforcing your message.